Adventure in Mt. 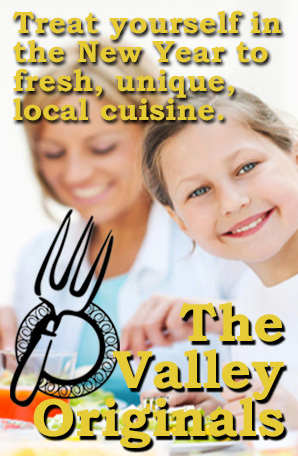 Washington Valley, Family Friendly, Life in Mt. Washington Valley NH, Mt Washington Valley, Skiing in Mt. Washington Valley, What's Your Adventure, Winter Fun! Shawnee Peak Opens this Saturday! Shawnee Peak Ski Area, Maine’s longest-running ski mountain, is excited to announce several capital improvements in anticipation of Opening Day of the 2017-2018 ski season on Saturday, December 16, which will be the mountain’s 80th year. This year’s list of projects includes several on and off-mountain enhancements, some major and some invisible, all of which are intended at providing an excellent Guest Experience. 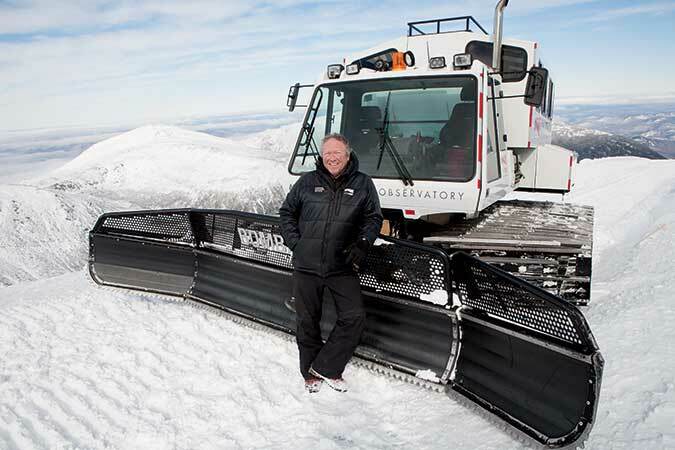 “We know that all of our improvements will enhance our skiing & riding experience for our upcoming 80th season! We look forward to seeing old friends and welcoming new families to our resort,” said owner Chet Homer. On the mountain, a second carpet lift has been installed, which will enhance our beginner experience as well as alleviate the crowds on busy days. On the snowmaking side, Shawnee Peak has installed additional snow guns on the mountain, including permanent guns on both Yee Haw and Upper Hagget’s. We have also rebuilt our pumps at our primary pump house, completing the two-year project. Lastly, as loyal customers may know, Shawnee Peak also took delivery of a new Pisten Bully Winch Cat late last spring. Our new rental shop was well-received last year and we have continued to enhance it, while placing a significant order of new rental skis, snowboards and helmets from Elan, Burton and Smith. Shawnee Peak is also excited to announce that we will be a Parlor Demo Center, the ONLY one in Maine or New Hampshire! Come try out these custom skis, built in the USA! Both base lodges have received additional interior and exterior enhancements with the majority of the work done at the East Lodge, which has a new parking lot, additional seating, and a rehauled food and beverage offering. Stay tuned for some exciting news on this front! Last, but not least, a new CRM system has been rolled out, which will enable us to communicate better with our guests and simplify our messaging across the board. Please check our social media pages and website for more info on Opening Day and for our exciting calendar of events, including our 80th Birthday Celebration on January 20th, 2018. Despite near record snowfall and colder than average temperatures this winter and spring, the Road crew has moved swiftly from the base of the Road to the 6-mile point removing ice and snow drifts of over 20 feet in places. Because of these snow levels, operations to the summit are not yet possible. Updates as well as photos and video showing the intricate process of clearing the Auto Road are available at www.mtwashingtonautoroad.com. Early season pricing, in effect until Auto Road opens to the summit, is set at $28 for car and driver while passengers are free. Season passes are available for $150 per person and valid through the 2015 season during regular operating hours and allows access for the vehicle and all occupants. The Mt. Washington Auto Road will be open daily during this early season from 9:00 a.m. – 4:00 p.m., weather permitting. For the latest updates on Road conditions and the operating schedule, visit http://www.mtwashingtonautoroad.com or call 603.446.3988. 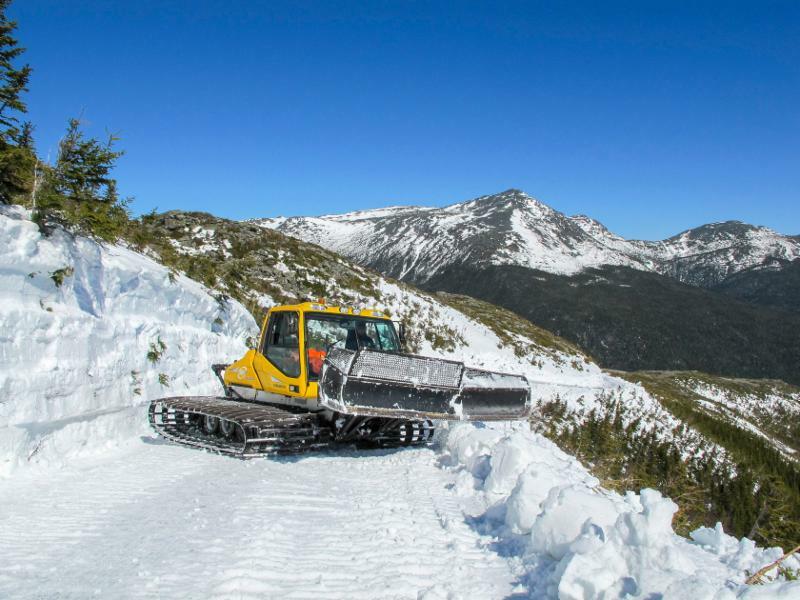 The Auto Road will be open to 4.5 miles to a turnaround point above treeline at 4,200 feet, which currently offers vistas of the snow-covered peaks and offers a true taste of the Mt. Washington experience. 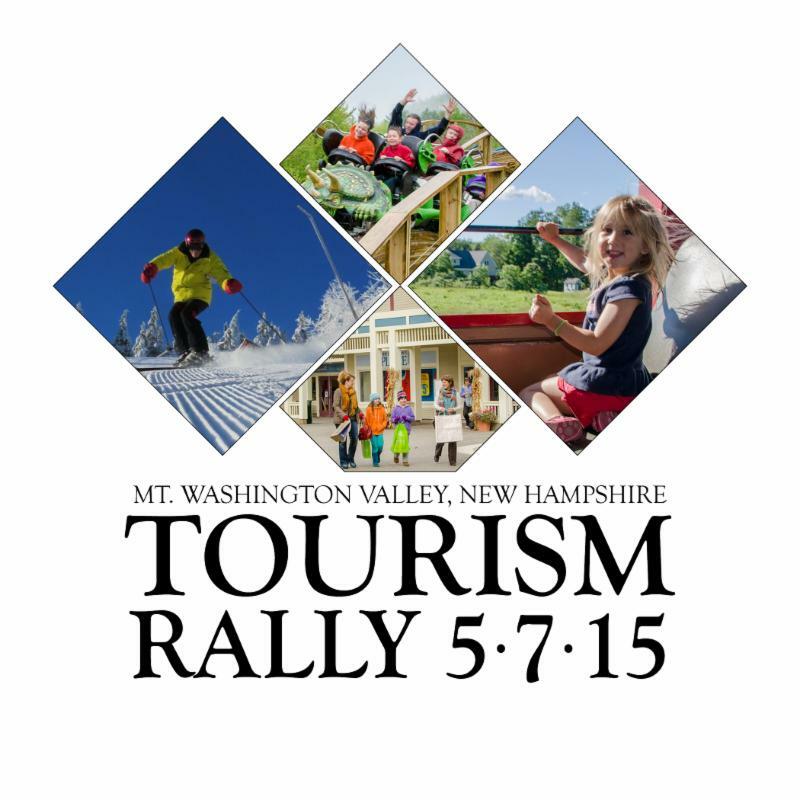 Tourism Rally at Sea Dog Brewing Co.
5:00 – 7:00pm, at Sea Dog Brewing Co. In recognition for the role tourism plays in the Mt Washington Valley economy and in conjunction with National Tourism Week, Mt Washington Valley Chamber of Commerce (MWVCC) is celebrating and spotlighting tourism, the largest economic driver in the Mt Washington Valley. Presentation of NEW Tourism Hero Awards to recognize leaders, local hospitality staff and service companies who work behind the scenes to provide great customer service for tourists to our valley. Congratulate the inaugural winners of this year’s Tourism Rally Awards! Slim has worked as the summit transportation coordinator for the Mount Washington Observatory for the past 5 years and is an on call driver for both the Mt. Washington Auto Road and the Mt. Washington State Park. Having driven the Auto Road more than 200 times, Slim enjoys entertaining guests with his charismatic presence and sharing his love of the White Mountains with visitors. 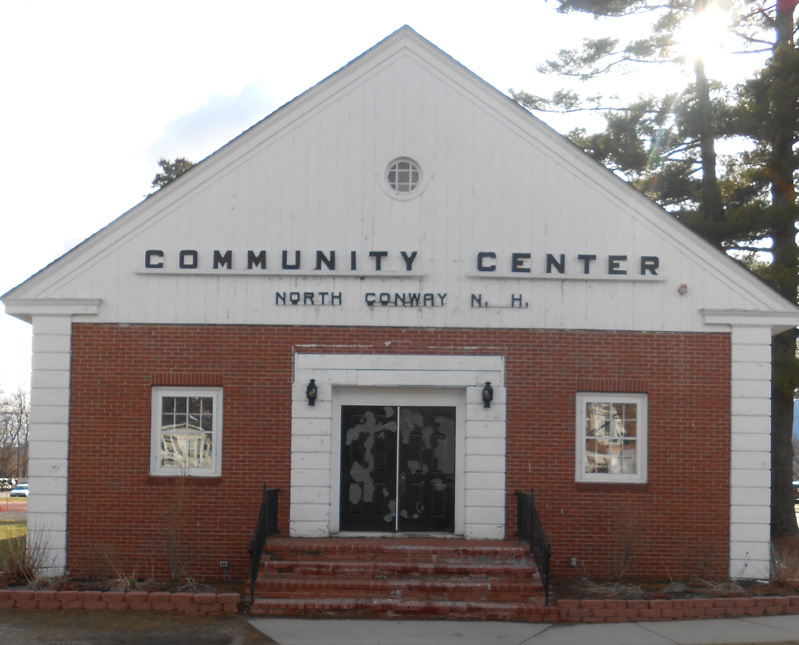 The North Conway Community Center is committed to its partnership with the community. It seeks to provide a broad range of quality and progressive recreation opportunities for children and adults and to sponsor other community groups with like goals. In addition to maintaining public bathrooms, NC Community Center provides free access to its playground, basketball court and other recreational facilities, and supports multiple non-profits, allowing them to use their facilities. Skill development, enjoyment, cooperation and good sportsmanship are the primary goals of their recreation programs. 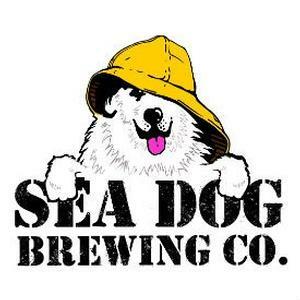 About Sea Dog Brewing Co.
results in brews with a distinctive, refreshing taste and crisp finish. Taste for yourself in the newest location in the Red Barn in the heart of North Conway. The Mount Washington Cog Railway, the World’s first mountain-climbing cog railway, will be opening for its 146th season bringing visitors from all over the world to the summit of the Northeast’s highest peak on Saturday, April 25. This year, the Cog will once again be offering the popular events and special tours including the AMC Nature Train Tour, Observatory Tours, Photo Workshop Tours, annual Railfans’ Day and the Holiday Family Festival. Look for more details on all events online at http://www.thecog.com. As part of each 3-hour round trip on the Cog, Passengers spend about an hour on the summit, where those ticket holders get free admission to the new summit weather museum created by the Mount Washington Observatory. The exhibit provides a fascinating look at the extremes of winter on Mount Washington, all from the comfort of an interactive exhibit located in the lower level of the Sherman Adams Visitors Center. Throughout the season, there are special trains and discounts for our guests. Starting Memorial weekend, the Cog will be firing up its vintage steam trains, and will be running the steamer as the first train up the mountain throughout the season on scheduled days. Beginning June 22, everyone saves with $13 off their ticket on the last train on most days. Even this Fall, passengers can save with a $10 discount beginning in September (excluding Holiday periods). The details on the train schedule, specials and discounts can be found online. Old Peppersass, the train that built the Cog Railway, so nicknamed for its pepper-sauce bottle shape, is on displayat the Marshfield Base Station. This special train will be making an appearance at the League of NH Craftsman Festival this summer, being held at Mount Sunapee Resort, August 1- 9. Visitors can learn about the story of Peppersass and The Cog when visiting The Cog Railway Museum, located on the lower level of the Base Station. Tickets for Cog Railway excursions can now be purchased online at http://www.TheCog.com. Due to the popularity of the rides, buying tickets in advance is strongly recommended. The Cog will be running weekends only until Memorial Day Weekend. Visit the schedule online for train departure times. The Cog is located at Marshfield Base Station on Base Road, Mount Washington, NH just 6 miles off route 302 near Historic Bretton Woods, NH. For more information and the daily train schedule, visit http://www.thecog.com or contact The Cog at 1-800-922-8825 or in New Hampshire at 603-278-5404. The Believe in Books Literacy Foundation will be hosting its 6th Annual Earth Day Event featuring Dr. Seuss’ The Lorax at the 100 Acre Wood from April 15 – 18. Local elementary and preschool students will participate in the event during the week, and there will be a 10:00am Saturday Character Breakfast the public is encouraged to attend. The Lorax is the final character breakfast of the eight week series. The event begins at 10am at the Theater in the Wood with an enactment of Dr. Seuss’ The Lorax. After the story everyone will be able to visit with the Lorax himself! There will be a recycling presentation followed by an opportunity for kids to make their own Lorax with recycled materials. Then they can make a “pledge” of something they could do to help the environment and place their pledges on the Pledge Tree. They will also be decorating grocery bags that will be distributed to shoppers at The Local Grocer in North Conway. Then everyone will head out on the Trails in the Wood to enjoy the Storybook Trail. The event also includes a book swap; each child is encouraged to bring a gently used book and swap it for another. Believe in Books Literacy Foundation also encourages kids to enter their Earth Day Writing Contest. Entrants are required to write about what Dr. Seuss’ story The Lorax means to them. Children may make up a story, relate a true experience, or write a poem. Only single author stories qualify; please no co-authored stories or parents. Inventive spelling is encouraged and accepted in honor of Dr. Seuss. Each story must not exceed 500 words. Text must be printed or written legibly. Story must have at least one original, clear and colorful illustration to reflect part of the story. Entries will be judged on originality, creativity, storytelling, imagination and integration of artwork. More information is available at http://www.believeinbooks.org. “This is a great example of our efforts to bring books to life and relate it to our everyday world” stated Executive Director, A.O. Lucy. The Earth Day Celebration of The Lorax is one of the Believe in Books Literacy Foundation’s programs created to match the goals of exercising the mind and body of youngsters with education and engagement of healthy habits. The Literacy Foundation is a Charitable 501(c)(3) Non-Profit guided by the needs and involvement of the communities of which it serves. The Foundation office, the Theater in the Wood and its 100 Acre Wood property are located on Observatory Way in Intervale, NH, just two miles north of the Scenic Vista, directly across from Town Hall Road on the west side of Route 16. For more information on the Literacy Foundation call 603-356-9980 or visit http://www.believeinbooks.org. 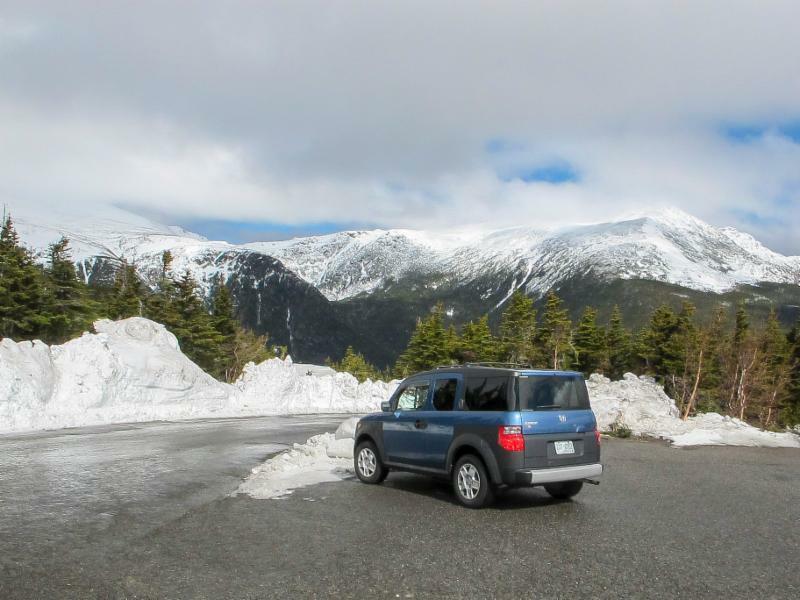 Normally in our April E-Traveler newsletter we’d be welcoming you to spring and mud season in Mt Washington Valley. While we still send along spring greetings, we are reveling in an extended ski season this year too. Mud season may just come a little later to our neck of the woods this year. We’re hoping to continue skiing at Bretton Woods through mid-April and at Wildcat into the beginning of May! Then we look forward to a great season at Tuckerman Ravine this year, starting with the Inferno Race that happens on April 11th. From the bunny trail to the ski slopes and XC trails, we welcome spring with Easter, attractions openings and plenty of live entertainment throughout Mt Washington Valley, NH. Drive safely on your way to the Valley! This Easter, Mt Washington Valley’s bunny slopes aren’t the only place you’ll see the Easter Bunny! The Easter Bunny is strapping on his skis to make some turns and enjoy spring skiing on our 13 ski resorts and XC Center trails. Spend the first few days of spring in the valley with festive springtime celebrations and events hosted by ski resorts, local dining establishments, hotels and inns to celebrate spring, Easter and Passover. The Mt Washington Valley Chamber of Commerce has compiled a complete line-up of Easter breakfasts, brunches, dinners, Passover Seder dinners and more. Simply visit their blog here. Start your Easter Sunday with a family gathering around the breakfast table then continue into the region’s stores, slopes, inns and restaurants. Here’s to a happy Easter, Passover and a sun-filled spring. Is there a wedding in your future? Even if you’re just dreaming of that very special day, you will find inspiration and all the resources you need for wedding packages from small elopements to large affairs in Mt Washington Valley if you click here. This is your one stop resource for everything from accommodations to photographers, florists, music and more. 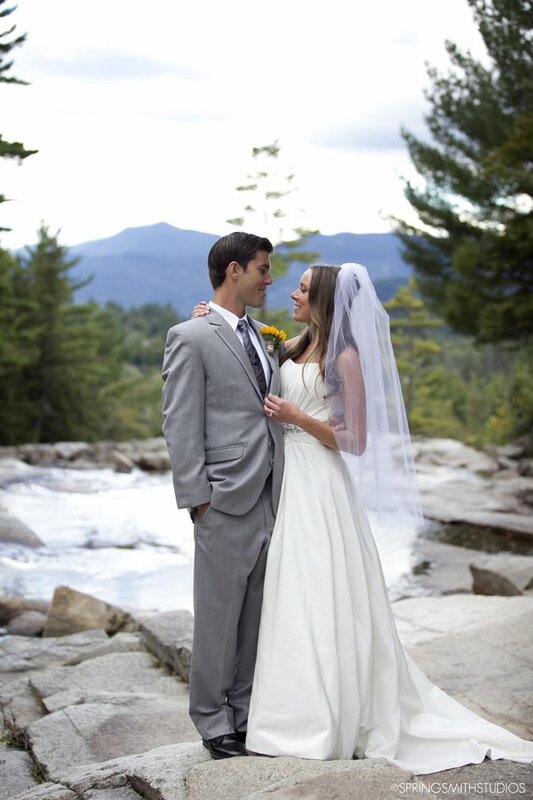 Mt Washington Valley is the perfect place for a destination wedding during any season. Winter, spring, summer or fall, you’ll find beautiful mountain backdrops to accentuate the beauty of your wedding day. Click here for all the lodging packages and wedding planning info you need to start planning that very special day. M&D Productions presents a modern take on Shakespeare’s “Scottish Play”, Toil and Trouble. This hilarious adaptation of Shakespeare’s Macbeth pits friend against friend, ambition against fate, pet-sitting against miniature vicuna mogul-dom. According to the Playscript’s website this will be only the fourth time this play has been produced, and the first time on the east coast. Performances are on Thursdays, Fridays and Saturdays, April 9 through 25 at 7:30pm. To reserve seats go to www.yourtheatre.com or call 603-733-5275. Believe in Books Literacy Foundation is hosting an Earth Day Writing Contest for children kindergarten age through 6th grade in honor of Earth Day Week and their 6th Annual Earth Day Celebration with Dr. Seuss’ The Lorax. The contest begins on Monday, March 23 and ends on April 10, 2015. Entrants are required to write about what Dr. Seuss’ story The Lorax means to them. Children may make up a story, relate a true experience or write a poem. Only single author stories qualify; please no co-authored stories or parents. Inventive spelling is encouraged and accepted in honor of Dr. Seuss. Each story must not exceed 500 words. Text must be printed or written legibly. Story must have at least one original, clear and colorful illustration as part of the story. Entries will be judged on originality, creativity, storytelling, imagination and integration of artwork. The entries will be judged as follows: Category 1: Kindergarten and first grade. Category 2: second and third grades. Category 3: fourth, fifth and sixth grades. More information is available at www.believeinbooks.org. is surprising the community with Random Acts of Happy throughout the first 250 days of the year to celebrate. 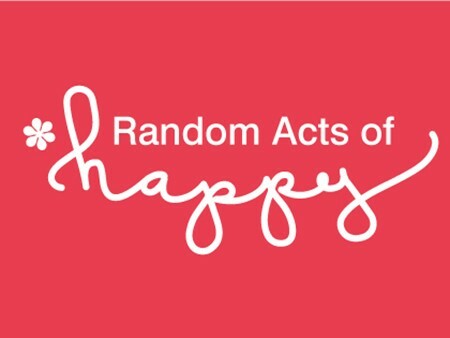 Whether it is free cupcakes from the White Mountain Cupcakery, a shopping spree, a surprise dinner bill pick-up at Brandli’s or Black Cap Grille, you could be the next person to receive a Random Act of Happy. Also, plan to join the community for the gala Conway 250th Fourth of July celebration where the Pharrell Williams’ hit song “Happy” will feature a very special collection of members of our community, maybe even you! Follow along at #250DaysOfHappy or happyconwaynh.com. And speaking of random acts of kindness, planning is still underway for the 5th Annual Be Kind Festival to be held in Schouler Park June 5 – 6, 2015. The Be Kind Festival has evolved during its history. Plan to share laughs and heartwarming stories with the community through music, acts of kindness, guest speakers, health and wellness activities, a candlelight labyrinth and many free hugs. In fact, Be Kind bumper stickers have been spotted on cars from many states around the country. Be sure to mark your calendar for a visit to Mt Washington Valley June 5-6, and get in on all the random acts of kindness. The event is the biggest fundraiser for Visiting Nurse, Home Care & Hospice in support of their services and programs. Info on Facebook or here. Bring the whole family to Mt Washington Valley for an Easter spring skiing trip. With Easter’s early date this year, you can combine a fun family celebration with some great spring skiing in the Valley. There’s plenty of fun in store on and off the slopes. With fun for everyone from the youngest to your teenagers, here’s what you can look forward to. April 4: Easter on the Green Craft Event at Settlers’ Green: The volunteers from the Mt. Washington Valley Children’s Museum will be hosting a wooden egg decorating event at Suite C22 (next to Customer Service) on Saturday, April 4 from 10:00am to 2:00pm. Visit Customer Service, just next door from the craft event, for a free coloring book, crayons and Easter chocolate while supplies last. Plus, stores will have Easter treats available, so be sure to make your way around to the shops after you decorate an egg. Don’t miss the bake sale at Waterford Wedgwood Royal Doulton, too. Info: Click here. 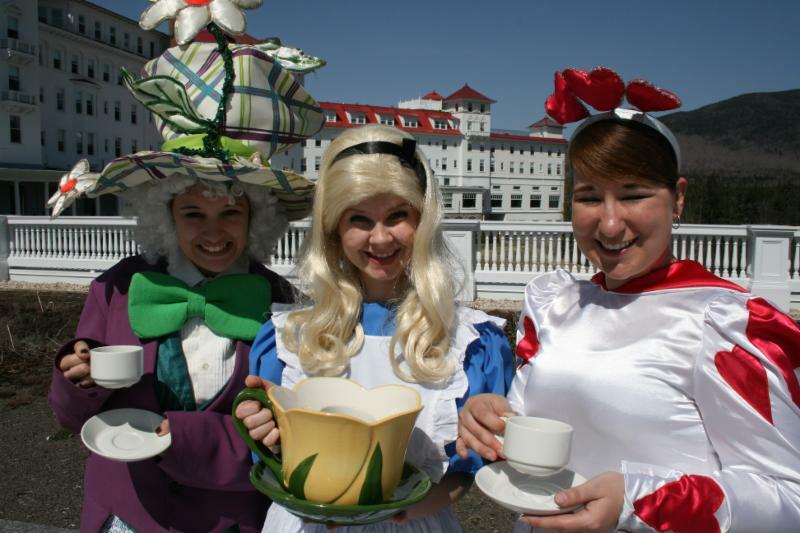 April 4: Mad Hatter Tea Party at Omni Mount Washington Hotel: Enjoy an Easter party in true Mad Hatter style. Mad Hatter Tea Party activities include a Mad Hatter Tea Buffet, Bunny Hop Dance, Make your own hand Chick-let, Decorate your own Easter egg, Pin the Ear on the Easter Bunny, Bunny Ear Headband creations and Cupcake Decorating. There is a fee of $30 per person ages 6 years and up; ages 5 and under are free for the Mad Hatter Tea Party. This rate does include tax and gratuity. Please contact the Activities Concierge at (603) 278-8989 to make reservations for the Mad Hatter Tea Party. More info about this and other Bretton Woods Easter events at http://brettonwoods.com/easter. April 4: 2nd Annual Cat Scratch Fever Mogul Freeride Event at Wildcat: Come shred in this feature spring mogul event taking place in The Chutes at the base of Wildcat Mountain. Cheer on competitors and sway the judges’ scores from easy vantage points located at the Bobcat Base Lodge or from the decks of the Main Base Lodge. No matter where you are, a party atmosphere will surround you. This event will run from 11:00am to 1:00pm. Registration is 8:00 -11:00 am in the main base lodge next to guest service desk ;the entry fee is $10 and the event is open to all ages. Info: Click here. April 4, 11, 18: Character Breakfasts at the 100 Acre Wood: Starting at 10:00am, start with a small breakfast including pancakes with 100 Acre Wood Maple Syrup, a storybook reading and a visit from the featured character of the week! Plus use the 100 Acre Wood Trail System for the day. $5 suggested donation per person. Character Schedule: Apr. 4th – Rabbit, Apr. 11th – Eeyore. Apr. 18th – The Lorax. Info: 603-356-9980, www.believeinbooks.org. 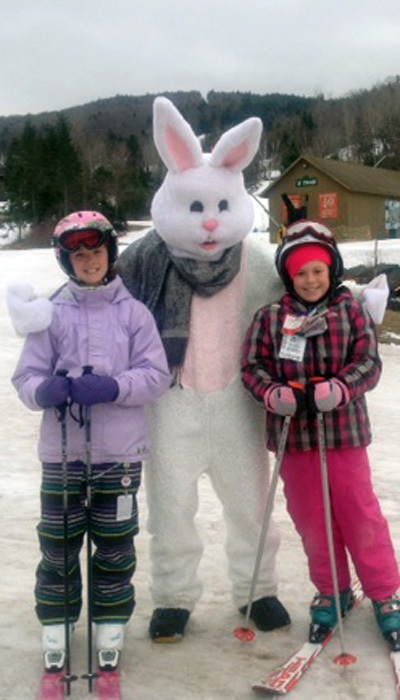 April 5: Wildcat Easter Egg Hunt: Celebrate Easter at Wildcat Ski Area. By 10:00am, be sure to ride the Snowcat Triple chair lift for a children’s Easter egg hunt (limited to 12 and under) on the beginner “Snowcat Trail”. Treats and other special prizes will be found within the eggs including one that holds a 2015/16 Junior/Young Adult Granite Season Pass. It all starts at 10:00am on the top of the Snowcat Trail. Info: Click here. The Easter Bunny doesn’t discriminate; he loves children of all ages. Come for an egg hunt open to children of all ages, hunts begin at 8:00am and noon. Join in the non-competitive fun of this springtime adventure by searching the “Woods” high and low for sugary Easter treats! Can you catch a glimpse of a GOLDEN egg? The Easter Bunny has hidden a few “powdery” treats around the mountain. More info about this and other Bretton Woods Easter events at http://brettonwoods.com/easter. Mt Washington Valley might be known for its outdoor adventure and scenery, but the entertainment scene is an important part of the Valley’s landscape here too! With plenty of opportunities for live theater and musical performances, this is a great place for couples to plan an escape filled with the right kind of drama! There are some wonderful theater and musical performances happening throughout the Valley in April. Plan to schedule your romantic getaway around one of these opportunities. On April 3, Hypnotist Roderick Russell will appear at the Leura Eastman Performing Arts Center. Award-winning hypnotist and Ripley’s Believe It Or Not star Roderick Russell performs one of the funniest and most mysterious shows on the planet at 7:00pm. In this completely interactive show, nationally touring artist and clinical hypnotherapist Roderick Russell demonstrates the power of the mind to create our reality. In the hypnotic state, Mr. Russell makes volunteers believe – and act out – a variety of hilarious scenarios, from seeing things that aren’t there to smelling smells that don’t exist. Tickets are $10.00 each. To purchase tickets call (207) 935-9232 or contact boxoffice@fryeburgacademy.org. 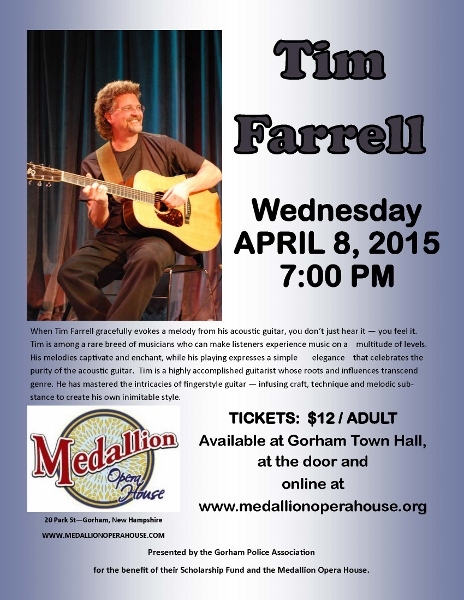 On April 8 The Medallion Opera House will host an Evening with Tim Farrell, a master of the intricacies and melodic grace of fingerstyle guitar, at 7:00pm at the Medallion Opera House, 20 Park Street, Gorham, NH. When Tim Farrell gracefully evokes a melody from his acoustic guitar, you don’t just hear it – you feel it. Tickets are $12/adults and will be available at the door and online here. On April 9, 10, 11, 16, 17, 18, 23, 24, 25 M&D Productions presents Toil and Trouble: It’s a Lauren Gunderson story worth seeing. All performances begin at 7:30 PM. The Culture Café opens 30 minutes prior to the performance. Tickets $20 in advance, $25 at the door. To reserve and for info: 603-733-5275, www.yourtheatre.com. On April 10 it’s a SMACfest 2 at Stone Mountain Arts Center: It’s three great bands in one night including Honey Dewdrops, the Deadly Gentlemen and Low Lily. Concert starts at 8:00pm, lobby and bar open at 5:00pm, and dinner service starts at 6:00pm. Dinner available prior to the show by reservation. Tickets: $25.00. Note: Credit cards not accepted at the arts center. Cash/checks only at the door. Info: Click here. On April 12 Comedian Bob Marley will be at Leura Eastman Performing Arts Center, Fryeburg Academy: Maine’s own Bob Marley is coming back to the LHE/PAC to put on another hilarious performance starting at 7:00pm. All proceeds benefit the Class of 2015 Project Graduation. $20 General Admission. To purchase tickets call (207) 935-9232 or contact boxoffice@fryeburgacademy.org. On April 19th at 6:00pm, contemporary world music guitarist and recording artist, Pierre Bensusan will perform at the Medallion Opera House in Gorham, NH. Tickets and info are available at the door and online at www.medallionoperahouse.org. For complete information on all the arts and culture offerings in Mt Washington Valley, click here. The early skiers and riders get the deals in Mt Washington Valley. April marks warmer weather, shorts and tees on the slopes, plus the reminder that the ski season is closer to the end than to the beginning. April also marks the time of year when season pass deals are their best. And of course April means even more reasons to hit the trails for the best spring skiing in years. 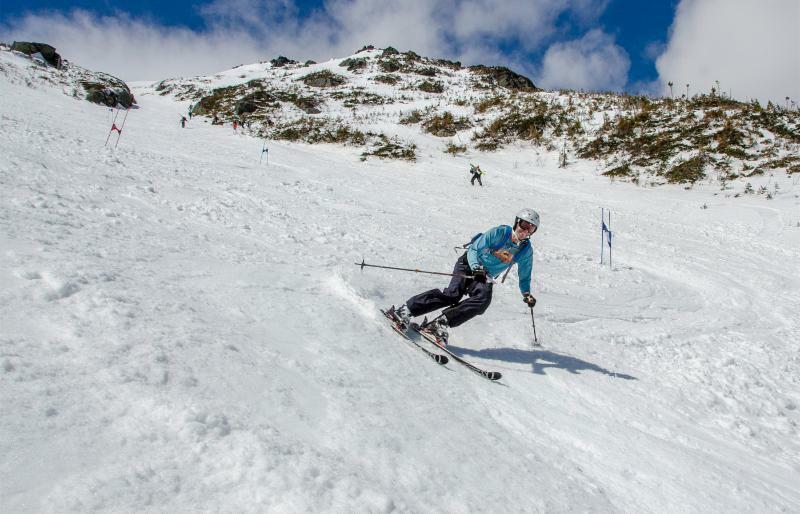 After as much as 170″ of seasonal snowfall this year, skiing conditions are the best they’ve been for a long time moving into the final weeks of the ski season. To celebrate, the seven Alpine and six Nordic ski areas have launched fantastic late season pass deals with some including skiing this year too. The early skier gets the deal; the earlier you buy your season pass for next year, the better the deal. For a complete list of April season pass promotions click here. The Tuckerman Inferno adventure race started in 2000 as the annual fundraiser for the Friends of Tuckerman Ravine. The race pays homage to the original American Inferno ski races of the 1930’s. 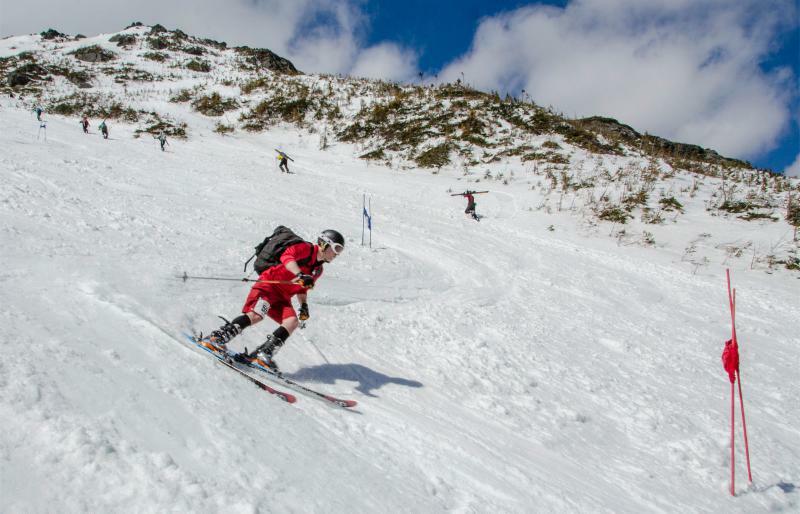 Yet, while the classic American Infernos were top to bottom ski races only, the current Tuckerman Inferno now includes running, kayaking, biking, hiking and skiing to create a pentathlon event that is one of the most challenging adventure races in the country. On April 11th, individuals and relay teams of up to five people will compete to see who will be the fastest to cover the approximate 36 mile course that starts in the Mt Washington Valley and finishes in Tuckerman Ravine. Individual champions are crowned Tuckerman and Tuckerwoman. This is the ultimate test for the adventure lover. This race, open to two classes this year, Elite (individuals) and Sport (teams of 2,3,4 or 5 people), combines running, kayaking, cycling, hiking and skiing in Tuckerman Ravine, all topped off very appropriately with an awards celebration and cash bar. It all starts with the run setting off from Story Land at 7:00am, and ends with an awards banquet that evening at Wildcat Ski Area. Complete information, online registration forms, schedules and more available at http://www.friendsoftuckermanravine.org/inferno. April 4, 11, 18, 25: Paint the Town Workshops at Omni Mount Washington Hotel: Enjoy casual dining and carefree cocktails from 5:00- 7:00pm while receiving step-by-step guidance on how to create your own masterful work of art on canvas. Reservations are required and includes use of all supplies. The 16″ x 20″ canvas is yours to take home at the end of the night. Classes can fill up fast so call the Activities Concierge Desk today to make your reservation for an upcoming workshop. Cost is $35 per person (not including food or drink), Reservations are required; please call the Activities Concierge Desk at (603) 278-8989 or visit brettonwoods.com/painting. April 11: Carroll County RSVP Chinese Auction Penny Sale: Held at the Ossipee Town Hall, the Preview starts at 4:00pm with the Auction at 6:00pm. Door Prizes, 50-50 raffle, bake sale, food basket raffle and hundreds of auction items are in store. Light meal and snacks will be available too. Tickets are $2.50 for a sheet of 25. All monies raised benefit Meals on Wheels and medical transport programs. Info: call (603) 356-9331. 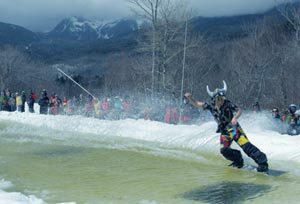 April 11: Wildcat Spring Pond Skim: The pond skim is back at Wildcat Mountain, and it’s the perfect way to celebrate the late spring skiing tradition. Skim or swim, someone is going to get wet! Registration: 8:30-10:00am in the base lodge. Event starts at 12 noon at the base of Wildcat. Free. Info: Click here. April 22: Earth Day Activities at Remick Museum & Farm: Wednesday, April 22, is Earth Day. From 10:00am -3:00pm come observe and honor Mother Nature this Tamworth Village homestead and celebrate Earth Day. There will be special family-friendly activities included with $5 admission; 4 and under are free. Participants must be accompanied by a parent or chaperone, not left unattended. 603-323-7591. Wednesdays in April & May: Ladies Night at Chef’s Market Bistro: Ladies can enjoy entrees or small plates at a special rate. Buy one and get one half off — every Wednesday at the Chef’s Market Bistro. 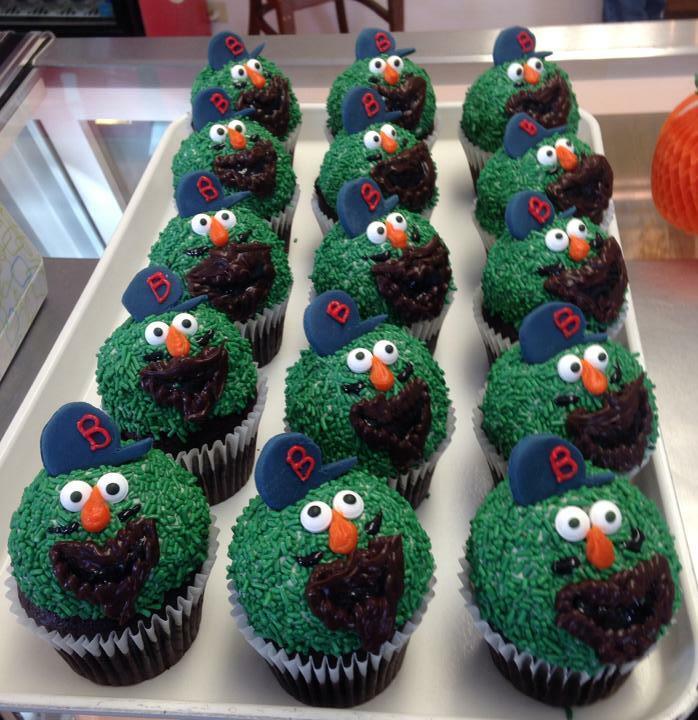 Celebrate Red Sox Opening Day at the Cupcakery: Friday, April 13th is Opening Day for the Red Sox in Boston and Settlers’ Green Outlet Village is showing its hometown spirit with free Wally the Green Monster cupcakes to the first 50 Red Sox fans to visit the White Mountain Cupcakery at Settlers’ Green (Suite D52) in team apparel. The store opens at 9:00am and cupcakes will be available while supplies last. Info: Click here. Patriot’s Day will be the last day of the season for Bretton Woods Ski Resort. All lift tickets will be $17.76 and upon purchase, you will receive a voucher for skiing next season valid through 12/18/15. This event is subject to weather and conditions. Info: http://brettonwoods.com/activities/event. The Believe in Books Literacy Foundation will open its Sugar Shack this weekend, March 28th and 29th from 11am to 4pm for the statewide celebration of maple season. 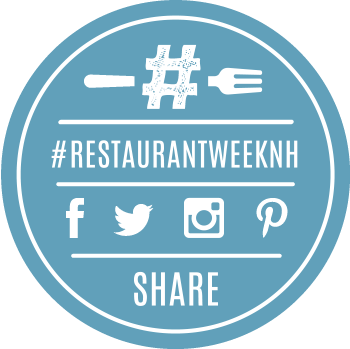 Over 110 sugar houses across NH will be open for the 20th Annual NH Maple Weekend; this year marks The 100 Acre Wood’s 4th consecutive year participating. A typical maple season begins in late February or early March when the sap begins to flow. The maple sugaring season usually lasts about a month, ending when Mother Nature says so, and despite the stubborn beginning to this season, the Sugar Shack will be open weekends through at least early April. Believe in Books Literacy Foundation has also developed a brand new “Tap Your Own” program to promote community involvement in their production of 100 Acre Wood Maple Syrup. The Foundation is encouraging families to participate in the tapping and collecting of sap on their own property, which will then be exchanged for Maple Syrup at the end of the season. The on-site Sugar Shack will be open on weekends from 11am – 4pm to provide families with tapping supplies and advice. The goal of the “Tap your Own” program is to get families outside and involved with a wonderful miracle of Mother Nature, maple sugaring! Believe in Books Literacy Foundation’s Sugar Shack features 100-Acre Wood Maple Syrup made from the Foundation’s 100-Acre Wood property. Along with providing all the materials and information needed to “Tap Your Own” maple trees, the 100-Acre Wood offers a self-guided tour through a section of the Wood where you can read about sugaring. They also offer a guided wagon ride tour through the Wood on weekend afternoons where you can learn about the history of sugaring, how to identify maple trees, tap for sap, collection and sample tasting. Tour is approx. 1 hour. The Foundation also offers Group Educational Tours mid-week for all ages during Maple Season. Please call 603-356-9980. The 100 Acre Wood Maple Sugaring operation is one of Believe in Books Literacy Foundation’s programs that engage children and their families in the educational process of maple sugaring, while raising money to support their many Literacy Programs. The Literacy Foundation is a Charitable 501(c)(3) Non-Profit guided by the needs and involvement of the communities of which it serves. For more information call 603-356-9980 or visit http://www.believeinbooks.org. Movie Night at the Ham Arena! Join the Ham Arena for public skating and a free showing of Happy Feet! Believe in Books Literacy Foundation has developed a “Tap Your Own” Program to promote community involvement in their production of 100 Acre Wood Maple Syrup. The Foundation is encouraging families to participate in the tapping and collecting of sap on their own property, which will then be exchanged for 100-Acre Wood Maple Syrup at the end of the season. The on-site Sugar Shack will have all the supplies needed to tap and collect the sap and will be open on weekends from 11am – 4pm to provide families with tapping supplies and advice. The goal of the “Tap your Own” program is to get families outside and involved with a wonderful miracle of Mother Nature, maple sugaring! White Mountain Hotel Weekend Getaways! 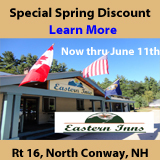 Join the White Mountain Hotel for these upcoming weekend getaways! 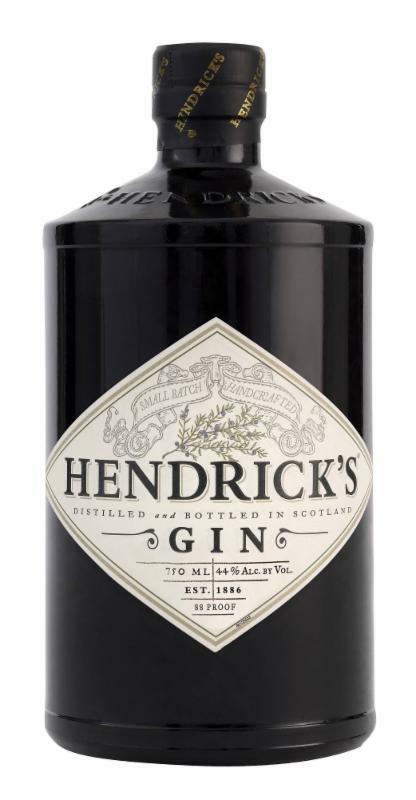 Spend the weekend with a great overnight package that includes one overnight stay, Swag Bag upon arrival, Full complimentary Breakfast in Ledges on Saturday morning and the Hendrick’s Spirit Dinner and Welcome Reception on Saturday evening.